According to Mishra, when the fodder scam case surfaced and gained prominence at the national level the then central government led by I.K. Gujaral and H.D. Deve Gowda were in power. PATNA: Five days after his acquittal in a fodder scam case by a special CBI court in Ranchi, former Bihar Chief Minister Jagannath Mishra on Wednesday said that it was not the BJP but former Prime Minister H.D. Deve Gowda who "framed" RJD chief Lalu Prasad in the scam. "H.D. Deve Gowda has framed then Bihar Chief Minister Lalu Prasad in the fodder scam. What Lalu Prasad, his family members and his party RJD accused the BJP of is wrong and baseless," Mishra said. According to Mishra, when the fodder scam case surfaced and gained prominence at the national level the then central government led by I.K. Gujaral and H.D. Deve Gowda were in power. "Deve Godwa has framed Lalu in the fodder scam." Mishra said his name was deliberately included in the scam on the instruction of then Congress president Sitaram Kesri. 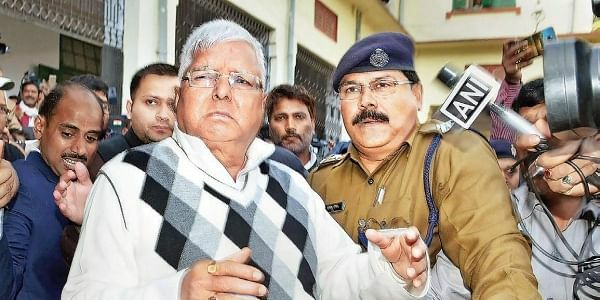 Lalu Prasad was on last Saturday convicted in a fodder scam case by a special CBI court in Ranchi and Mishra as well as six others were acquitted. The quantum of punishment will be announced on January 3.